Herzl “Herzi” Halevi was born on December 17, 1967, in Jerusalem. He was named for an uncle, also a paratrooper, who was killed during the Six-Day War. His father’s family came from Russia while his mother’s family traces their roots in Jerusalem back 14 generations. He was drafted into the IDF in 1985. He volunteered as a paratrooper and served as a squad leader. In 1987, he became a platoon leader and led the Paratroopers Brigade’s anti-tank company in counter-guerrilla operations in South Lebanon. Afterward he was assigned to Sayeret Matkal, the IDF’s special forces unit. 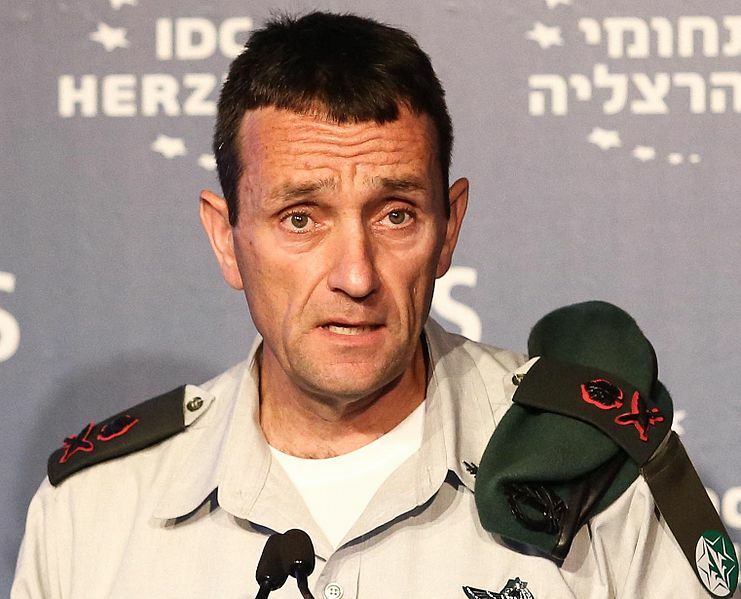 He commanded the unit during the Second Intifada. His next command was the Menashe Regional Brigade. During Operation Cast Lead, Halevi commanded the 35th Paratroopers Brigade. In 2013, he was chosen to run the Staff and Command College He later commanded the 91st Division. In 2002, during the second Palestinian intifada, the concerns General Halevi raised about a planned operation to capture Yasir Arafat, then president of the Palestinian Authority, from its headquarters in Ramallah, where Mr. Arafat was under siege, led to its cancellation. He is admired as a creative thinker and beloved for attending annual memorials for fallen soldiers. Some, though, find him aloof, square or self-righteous, with a quiet leadership style that can befuddle young recruits. In September 2014, he was appointed as the head of Military Intelligence, the first Orthodox Jew to hold the position. Photo: Adi Cohen Zedek, Wikipedia.